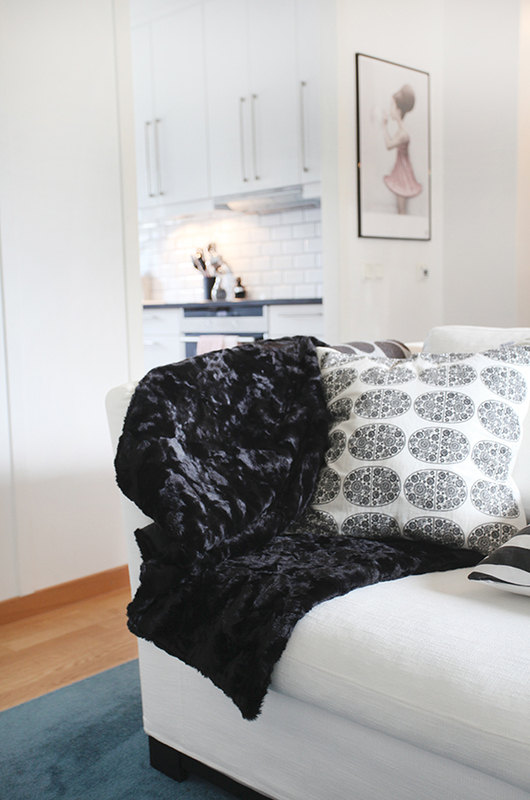 I had the chance to work with the talented interiordesigner Lehna L the other day and made some inpiring new pictures to the Monimo HOME colletion. I really like the black and white mixed up with some turquoise and pink. 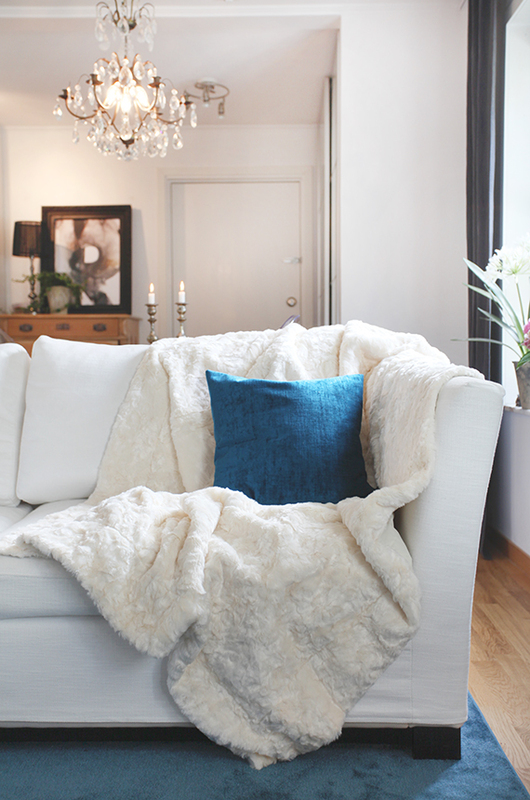 Our big luxury blanket is perfect to cuddle up in this autumn days that´s on it´s way. Don´t you think the big poster ”R” is so cool! You find it at Bara Bokstäver. Big and brown. Put the blankets on the bed or the sofa. Or why not outside on the balcony or the ground. Water and windproof. Of course the dog has a place of her own! My name is Johanna Tibell-Gartz and I’m the one who writes the blog. I´m the founder and designer of the brand Monimo. If you want to know more about the brand and our products, please check ‘Om oss’. You will be transferred to our web page, which is in English too.